Gain information and advice about a career field, industry, or organization. Connect with more people who are doing the things you want to do. Develop relationships you can enjoy throughout your career. Over 80 percent of jobs are not posted online and are obtained through networking. Networking plays a critical role in obtaining 70 percent of jobs across the country. Direct contact with people, preferably face-to-face, is one of the most effective ways to learn about career fields and discover internship and job opportunities. As you begin networking as part of your job or internship search, make sure you set specific attainable goals for what you want to accomplish. One of the best ways to find networking contacts is through LinkedIn. 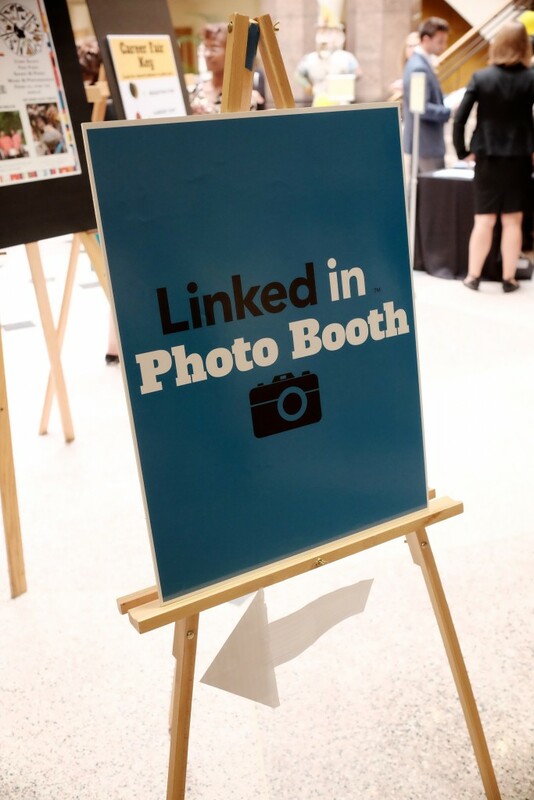 Commonly known as the “professional Facebook,” LinkedIn is a great resource to network, research companies of interest, locate informational interview contacts, and improve your personal brand. This free site opens the door to over 70 million professionals around the globe, representing 150 industries. Create an account today and begin expanding your professional network. To make the most of your LinkedIn experience, be sure to join the Wake Forest School of Business Alumni group, the Wake Forest Career Connectors group, and any other Wake Forest groups in geographic regions of interest. Keep a well documented record of your contacts – how, when, details of the conversation and any follow up necessary – with the University’s Network Tracking Tool. Another great way to make networking contacts is through your friends and family. Ask your parents, professors, high school teachers, and Wake Forest friends to help you make connections with people who could tell you more about the career paths that interest you. Once you’ve found a networking contact, you need to reach out to them to schedule an informational interview. Here is a sample message you could use to connect with a networking contact. Make sure you include your contact information and a specific question or two in the email so the contact understands what you want to discuss. Follow the links for useful tips for maintaining and establishing your network. I found your name through the Wake Forest Career Connectors Group on LinkedIn. As a senior at Wake Forest, I am majoring in psychology with a minor in English. After graduation I am interested in pursuing a graduate degree in counseling and working with children with behavioral problems and families in transition. I see from your profile that this is your specialty area. Would you be open to letting me email, call, or meet you in person so that I can learn more about your career path? Like you, I am currently in Winston-Salem and would be available to meet at your earliest convenience. I am free any day next week from 2-5 p.m. I appreciate your consideration of my request for advice, and I look forward to hearing from you. The best way to learn about a career is to talk to someone who’s actually in it every day! After you’ve found connections from your friends, family, and LinkedIn, contact them to schedule a brief face-to-face or phone informational interview. The purpose of an informational interview is to learn more about an industry or career field, not to ask for an internship or job. When you call to schedule the informational interview, tell your contact about your interest in their field and your curiosity about learning more. Once the interview is scheduled, you will need to prepare insightful questions to ask your contact, as well as explanations for why you’re interested in this field. You can use this list of questions to help you begin, but make sure you also research the company and prepare questions specific to their work. Make sure you can clearly highlight why you want to take this career path and the strengths you have to contribute to that specific line of work. Remember, you’re not trying to get a job, just trying to better understand the field while building your professional network and practicing your interview skills. Have a 1 – 2 minute pitch prepared that succinctly describes your background and goals. For help developing your elevator speech, check out our Elevator Speech Worksheet. Be polite, professional, and appreciative. Send thank you notes after meetings or conversations. Wake On Wall Street (WOWS) is an alumni-led Wake Forest group created to increase the awareness and presence of Wake Forest students in the world of business, finance, and other related fields. Students are invited to join the new WOWS online network! Access to a premiere network of Wake Forest alumni working in financial services and eager to help current students by sharing industry knowledge and posting jobs and internships. Career materials developed by industry professional specifically to help guide students toward successful Wall Street careers. Full details about regional events and opportunities to connect with financial services professionals for in-person networking. The online network is meant to be used in concert with the Wake on Wall Street (WOWS) LinkedIn group to facilitate networking between Wake Forest alumni, parents, students, and friends of the university.